This week we talk with Kelley Armstrong about her new book Haunted. Kelley has a ton of fans, and this interview will not disappoint. 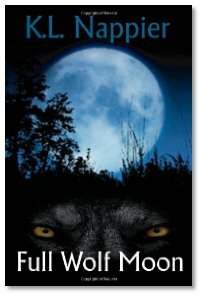 K. L. Nappier then steps up to tell us about her new e-book Full Wolf Moon. Kathy's book brings terror to a World War II Japanese internment camp. You don't want to miss this one. I enjoyed this interview. I'd read Ms. Armstrong's two werewolf novels, and I enjoyed them very much. If she does leap into the podiobooks waters, I would definitely subscribe to a feed of it. Quick note, Papago park across from the Phoenix Zoo was a WWII POW camp for German submarine crews (probably same as the Nebraska camps) they wanted to take them totally out of their element and make them stick out as much as possible. A few escapes were successful but they were all caught very quickly due to their German accents and that really stuck out at the time.